After I was with other bands, I decided to write my own music and put together my own band. I do all the guitar and vocals, sometimes I just play solo. I just have a bass player and a drummer in the band. Since it is a solo project, I may use different members. But, they are from NY. To write and perform my own music without someone looking over my shoulder. I’m in complete control of everything. My music is in what I call, the rock fusion vein. I mix rock, blues, jazz, classical and other styles together. There is instrumental tunes as well as vocals. My high school and then right to clubs. Just finished up the NAMM show in Anaheim, CA. I write all of the music, lyrics and arrangements. Hard to say, but I like to work to with people with a sense of humor. I like to joke around myself and have a good time. Being a solo artist sometimes you have to use other musicians. It is not like a regular band. You just have to make sure the musicians have there parts down. It can be good when they put their feel into the tunes and I consider my style what I call rock fusion. This style just kind of happened from all my previous experiences and being open minded and versatile. My songs are mainly about true experiences. I write all my own material. Sometimes live, I may throw in a few covers. Yes, I made 8 Cd’s so far and working on the ninth. I have always loved music and I was heavily into Black Sabbath and other heavy metal bands at the time when I was a kid. At first I wanted to play drums and then my sister and her boyfriend at the time got me a bass and then I traded it for a guitar right after. My Dad was a violinist and my brother strummed a little guitar. It just kind of happened. I was about 14 or15 when I began playing on stages in public. That is tough cause, I have played some great gigs and I have played some bad ones too. Right now there is stuff in the works for Europe. 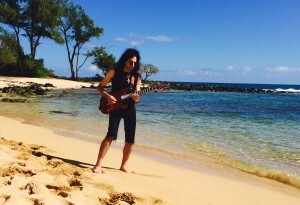 The best thing to do is to keep checking www.mikecampese.com. I have seen a lot of bands, it would probably be Black Sabbath with Dio. No, I usually like to mix up the set and add new ones here and there. That is tough to say, I had some big ones opening for major bands. Defiantly opening for Motley Crue was one of the highlights. It depends, but it can be from anywhere to 20 people to 20,000. Right now I have been working on a new album, it will be primarily acoustic. I’m planning on doing some touring this year in Europe. Also, I will continue to write my own guitar column in Italy’s premier guitar mag, Axe Magazine. I usually like to get warmed and play guitar, go through some of the tunes. I like to listen to great music too. Since the beginning when I first started playing. Real life situations can be an inspiration. Also, writing and listening to great music can as well. The small ideas come and then I will work on it to get more sections. It will come together like a puzzle. I like having the product in my hands and the booklet inside etc. The quality is not as good on downloads. I like to listen to other types of music. I like classical, fusion, funk, blues, Indian music etc. I jump around with my listening and I do like listening to Hendrix and players like Al Di Meola. I even like artists like Prince and Michael Jackson. I usually have no fears, but I would say equipment failure. I use great equipment so that is usually not an issue. Yes, I been in other bands before. One of them was the Trans – Siberian Orchestra. I teach guitar as well, privately in person and with Skype. I also write for several magazines. Not much of anything really. The fans are the most important, without fans bands can’t survive. Whenever I meet someone that likes my music, I will give them my full attention and very interested in what they say. It depends, as a band if there is a gig coming up we will try to play a couple times a week, sometimes once. It is not easy getting everyone together. But, I play guitar everyday and I rehearse the music a lot before a gig. I like the song “Closer to the Sun” from my Electric City Cd and “To the 9’s” from my Chameleon Cd. It is important that the musicians are versatile and to get themselves out there. Also, if the musicians are schooled and know their stuff they can teach on the side. Keep playing and be sure to be yourself a much as possible. The music industry is not like it was, I think it is poor. It is really up to the bands now to get themselves out there. Making sure the band gets paid and keeping everyone happy. Sometimes the sound system can be bad in clubs, or the house sound guy. Also, getting money from club owners can be a pain. The good thing is you are close to the audience and right in their faces. Well, we are putting together some stuff in Scandinavia this year, so keep an eye out for that. It would be great to see you guys. I have a few crappy instruments laying around. I had this old classical guitar that played good, I don’t think it works now. Other than that I just bought a crappy Ukulele and a nice one in Hawaii recently. I like to eat pasta and bananas before a gig. Separately of course and to make sure I’m warmed up. 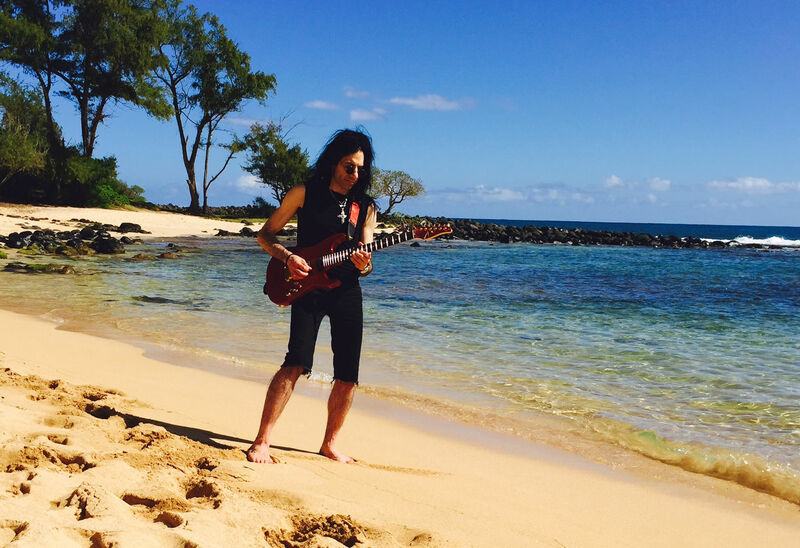 Be sure to visit www.mikecampese.com for all of the latest news. Don’t forget to check out the new website and all of my Cd’s.